Bulmers Ireland Limited is located in Clonmel, Co. Tipperary. The site houses two manufacturing plants, one of which focuses on the cider products of Bulmers brand portfolio and other plant focusing on products distributed into global markets by C&C international. 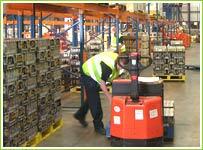 Problem:	The primary warehouse storage system used by Bulmers had been drive-in racking. However, the planned adoption of new, fast-moving product lines (wines & spirits) meant a new system was required, both in racking configuration and handling equipment. 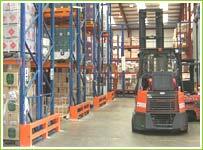 Solution:	Euromech designed, supplied and installed Narrow Aisle Pallet Racking to optimise the available warehouse space, and to accommodate the high level of stock rotation. This enabled the Bulmers to easily increase its original SKU (Stock Keeping Unit) of 20 to over 1800. 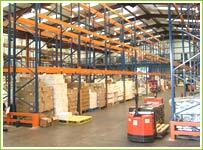 The new racking system itself providing a total of 5300 new pallet spaces.